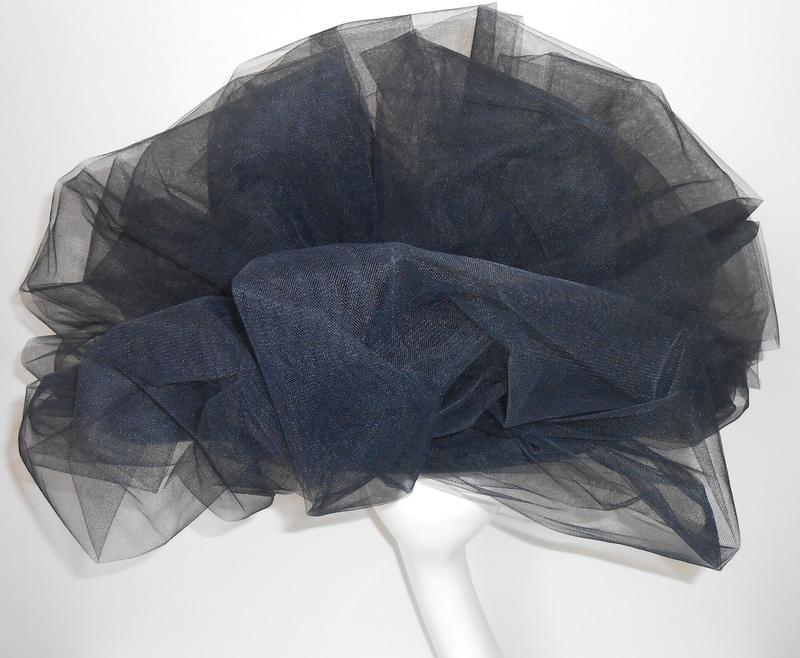 A striking black plate sinamay hat with black bows in bridal tulle. 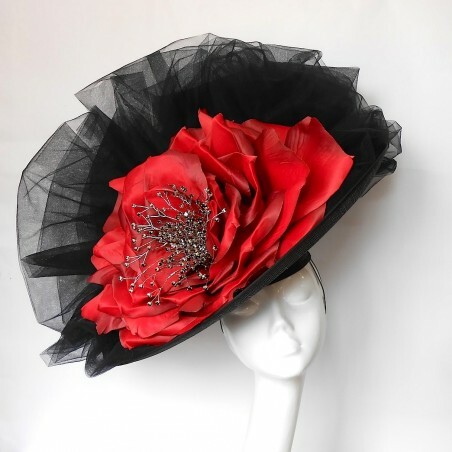 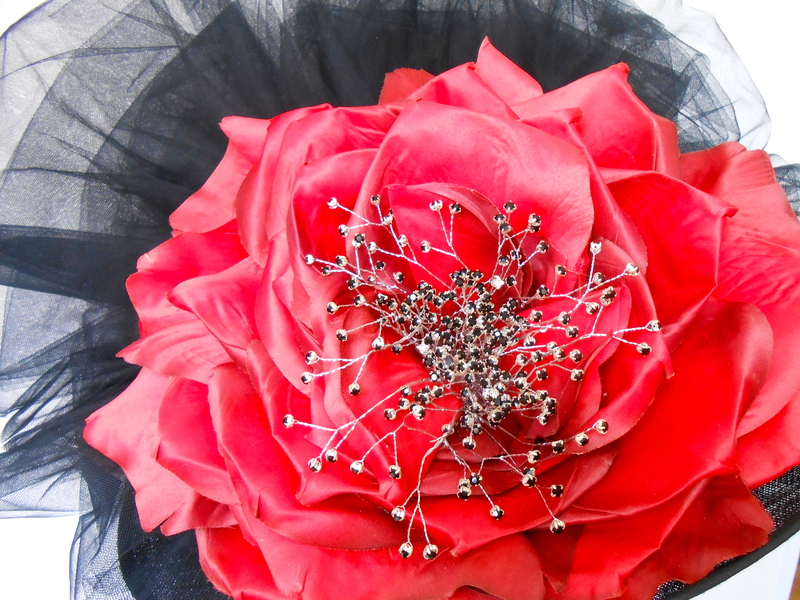 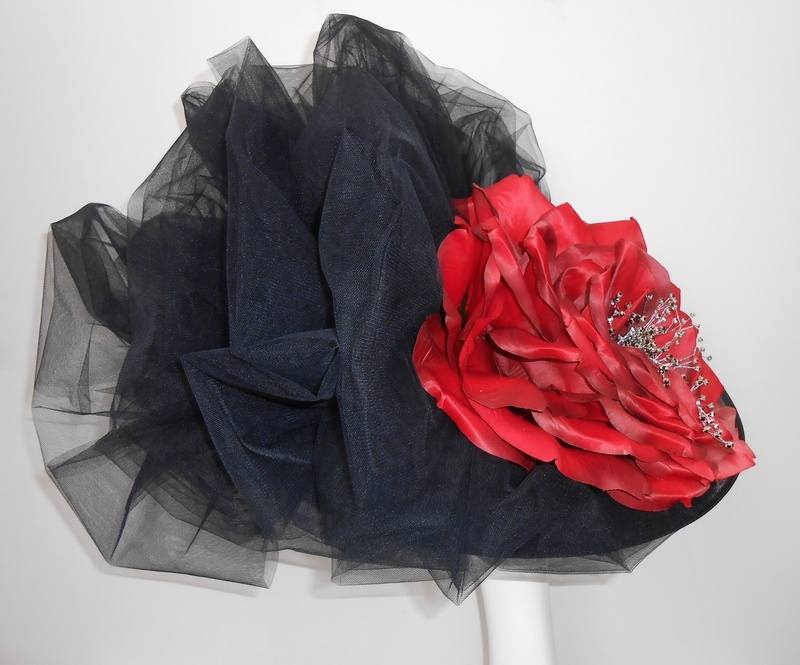 Featuring a stunning large red rose with black jet diamanté centre dressing. 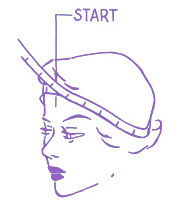 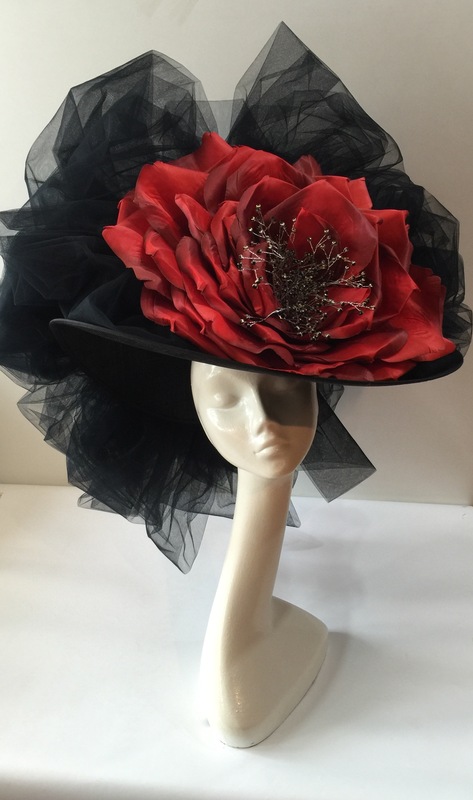 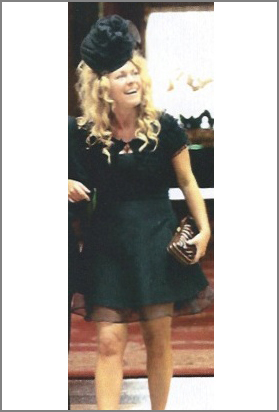 Perfect hat for the races or special occasion.